An unexpected trip enabled an unexpected stay (and now review) of what Skycap News is now calling the “Best Hotel in St. Louis!” While “spontaneity and travel” are two synergistic terms we normally embrace, this visit could have gone either way! After a brief trip from Lambert – St. Louis International Airport, we were met by friendly (and of equal importance ready) valet staff. Check in was an absolute breeze with Linda offering a warm “Diamond Member” welcome and a signature Doubltree chocolate chip cookie guaranteed to make any day just a little bit better. 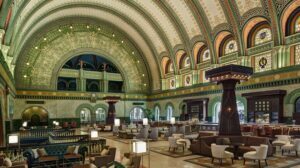 With a historical setting and enchanting ambiance, the Union Station Doubletree welcomes visitors near and far who marvel at its iconic existence within the city of St. Louis. 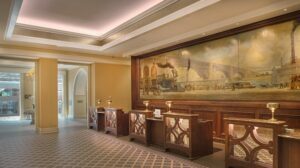 This “take me back in time” hotel features the striking “Headhouse” Grand Hall as a reception lounge space outfitted with gold leaf detailing its sweeping archways, mosaics and art glass windows. Transport yourself back (mentally and physically) into a time when traveling by train was the fastest way to go. 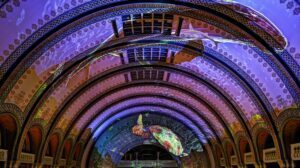 Just imagine unwinding with an adult beverage while viewingthis amazing light show which is both entertaining and historically accurate. The main lobby bar area must be seen to be believed and when one sits down, everything in life just seems to fall into place. Our server, Alma provided wait staff service that industry professionals should take note of; Always there when needed while not overbearing in the slightest. The bar offered an impressive selection of wine/liquor as well as local craft beer, not only Budweiser from Anheuser Busch which, is actually local to St. Louis, well until InBev bought them out that is. A vast array of food was ordered and it must be noted that the Lobster Roll prepared is worthy of anything we’ve tasted on the East Coast and the Fried Oysters would make any true southerner proud. Yes, they were that good! After a tranquil night of sleep, we then headed to the “concierge” room for breakfast. Please note this room requires an “Executive Pass” for entrance. There are simply not enough words (and time in this article) to describe Qiana and her spirited take on hospitality. Suffice it to say, Qiana makes one feel like family. I don’t know of many hotels where I would actually look forward to an expanded “Continental breakfast” but, one leaves feeling that they’ve enjoyed a fine dining experience. While Utopian in view, wouldn’t it be nice if everyone truly enjoyed their job and made an effort to impart customer service as well as genuine kindness?! The world definitely needs more Qiana’s! Thank you again and please keep up the great work! In close proximity to the property, travelers may also find a varied selection of interests to fill their sightseeing wishes. 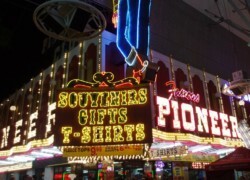 Many local attractions are within walking distance or a short cab ride or drive. For the sports fan, the Blues, Cardinals and Rams are all close by and depending on your level of activity, within walking distance. Plenty of bar and food choices are nearby as well but, that’s another article for a future Skycap News update. 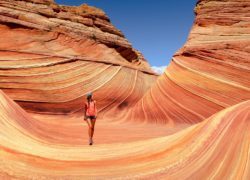 Searching for additional tourist options? 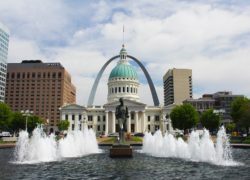 The famed Gateway Arch, Saint Louis Zoo and Missouri Botanical Garden are must see attractions. For the more cultured traveler, there are multiple museum options nearby and one must not forget the world-class St. Louis Symphony! 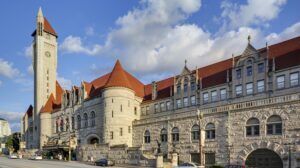 With unparalleled hospitality, luxury lodging, as well as a regal setting, the St. Louis Union Station Hotel immediately draws guests in with its charm and history. 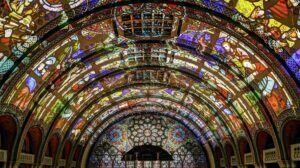 OK, enough about this magnificent hotel. 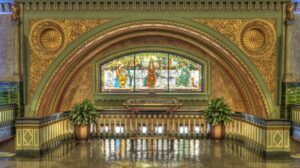 Please take the time to enjoy the somewhat dated yet, timeline appropriate video at the end of this article displaying the remarkable restoration undertaken to bring St. Louis Union Station back to life. 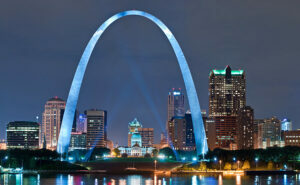 Our staff has stayed at numerous hotels in and around the St. Louis area over the years. There are some impressive properties in addition to this fine hotel, indeed. We might even “see what’s new” and review some additional local properties for future updates and welcome invitations to do so. However, for an all around experience, its highly doubtful the St. Louis Union Station can be beat. Now you know why Skycap News calls Union Station – A Doubletree by Hilton, the Best Hotel in St. Louis!